Dectron pioneered the indoor pool dehumidification market by trying to resolve a problem found in all buildings with Indoor Pools: Structural Damage due to Humidity. In this pursuit, the Engineers at Dectron designed and manufactured the very first DRY-O-TRON®, a mechanical dehumidification system to control humidity and at the same time use the same energy byproducts to increase comfort by controlling both pool and air temperature within the enclosure. 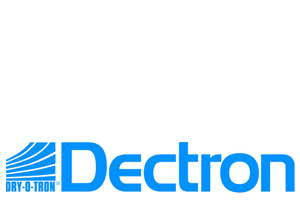 Today, Dectron is an integral part of Dectron Internationale; a group of companies with a unique ability to combine Engineered Air Quality technologies to provide customized solutions to control temperature, Humidity and Wide Spectrum Pollutants. For the engineers, architects, general contractors and consumers alike this means a guarantee of quality in design and fabrication of solutions to meet the most stringent requirements for safe and comfortable indoor air. Dectron approached the Paddock Evacuator Company in 2013 to integrate The Evacuator into their DRY-O-TRON® product line for indoor pools. When your HVAC system is in need of replacement, just ask them to include The Evacuator. It’s that easy. << Atlantic Aquatic Engineering, Inc.